Need a New Space to Work From Home??? 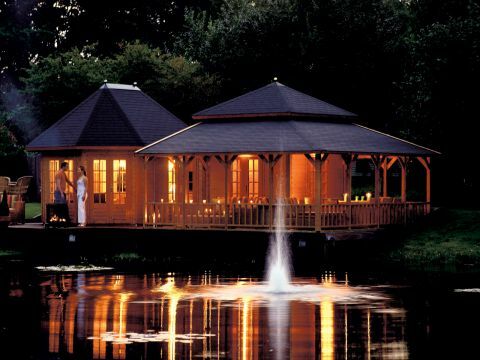 If you are thinking of buying a Log Cabin or a Residential Log home, then make sure you look at our vast range of log cabins for sale. 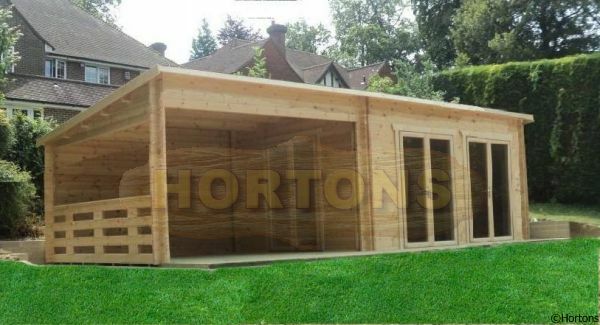 Not limited to log cabins, we also sell all manner of Timber Garden Buildings including fully Insulated Garden Offices, Sports Pavilions, Timber Cabin Classrooms (which are suitable for school classrooms and comply with all of the relevant regulations), Summer Houses, Quality Sheds and Strong Workshops. 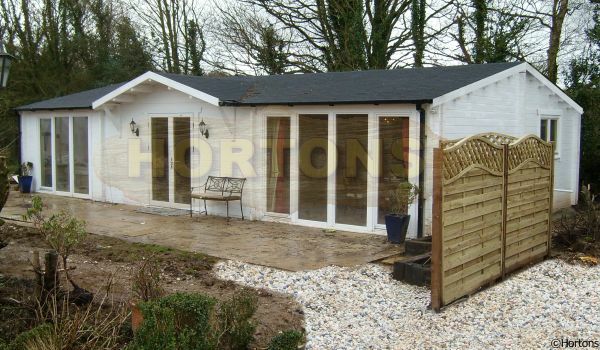 The difference between a log cabin and a more standard timber building is that log cabins are built from thick interlocking logs (no framework) rather than a thin cladding (usually shiplap or featheredge) nailed onto a wooden frame (such as garden sheds), meaning you get much more timber for your money which in turn means they are more substantial and better insulated. 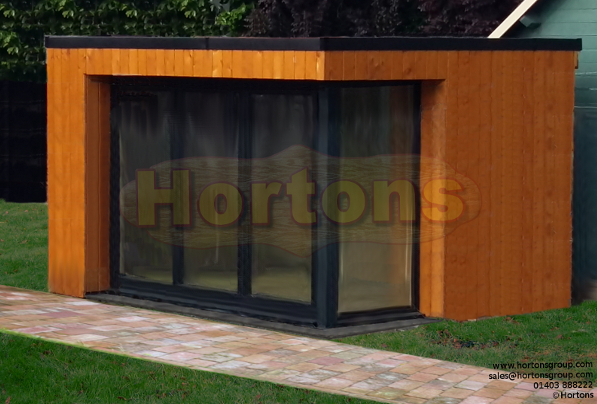 They can be used as anything from a Summerhouse to Garden Studios and all the way up to Log Houses for living in (Twinskin options). 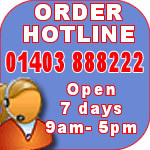 We can deliver to the whole of the UK, please click "shipping information" at the very bottom of the page for our free delivery areas for any of our log cabins you may wish to buy (we can deliver outside of these areas at extra cost). 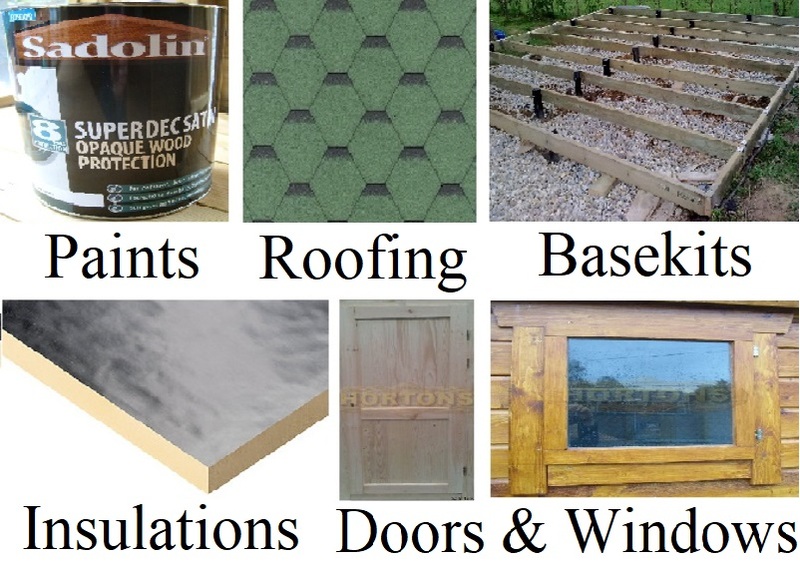 Bespoke and custom build timber building designs are our speciality and we can help through the planning stages and regulations regarding your log cabin or timber framed building requirements or building project. 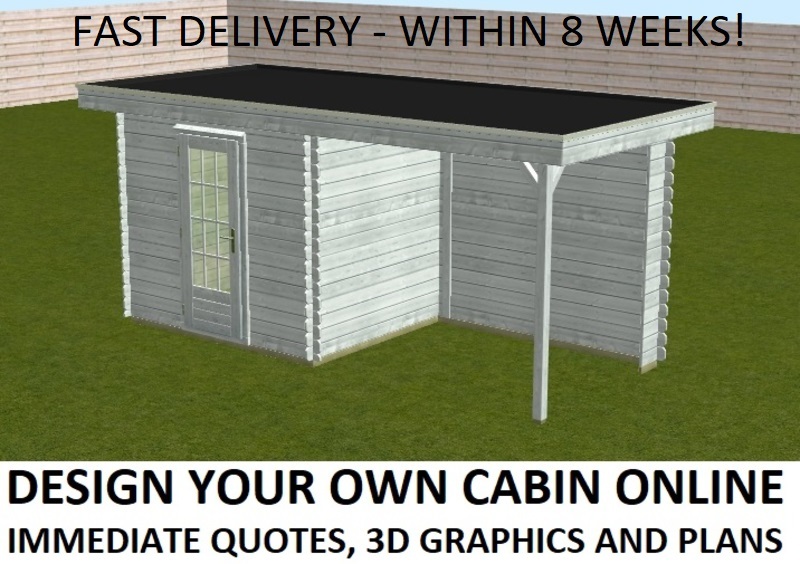 We often sell cabins with Scandinavian and Canadian style themes. 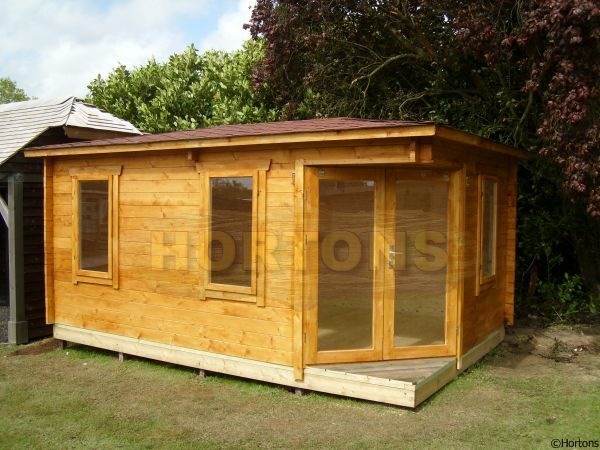 For example, our cabins can be made with round logs, “D” profile log which are rounded on the outside and flat faced on the inside or square flat logs. We can offer high quality red, green or black felt shingles, or if you require a virtually indestructable roof that looks great then we stock recycled rubber roof tiles that look just like natural slate for a roof cover that's long lasting and durable against the elements. Our windows and doors are fitted with glass (not Perspex), which are double glazed as standard (apart from the 28mm wall thickness which are single glazed but we can offer the option for double glazing for these as well). 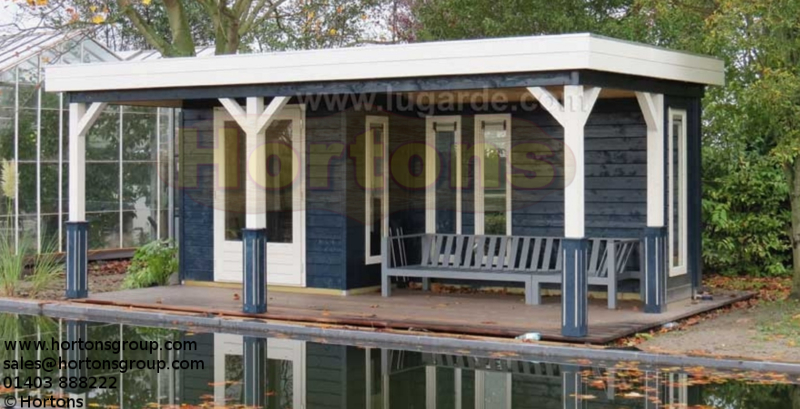 We can also offer fully insulated cabins (roof, walls & floor) for comfortable all year round use, these are called the Twinskin range, which offer fantastic insulation values (better than a mobile home), as standard, or we have an upgrade which will fully comply with building regulations thermal capacity for habitation.